In an accompanying press release, Allan Harris compares his deep dive into Eddie Jefferson’s groundbreaking oeuvre to “taking a master class at MIT.” No question that navigating the tricky, rapid-fire, street-smart wordplay of vocalese—an art form Jefferson is widely credited with creating and of which he remains the undisputed champ, even 39 years after his untimely death—is a daunting endeavor. But although he’s best known for his buttery tributes to Nat “King” Cole and Billy Eckstine, Harris ranks among the most dexterous singers around, and he proves fully up to the challenge. Indeed, it’s intriguing to hear these 10 gems—mostly vocalese, plus such covers as “Memphis” and Duke Pearson’s “Jeannine”—rechanneled from Jefferson’s vocal grit to Harris’ rich baritone. Befitting so notable a project, Harris has enlisted top-drawer support: tenor saxophonist Ralph Moore, pianist Eric Reed, bassist George DeLancey, drummer Willie Jones III and, most significant, alto saxophonist Richie Cole, who worked closely with Jefferson in his later years, including on the night he was shot and killed after a Detroit gig in 1979. The beauty of so many Jefferson creations is that they’re not only based on jazz standards but also reworked to lyrically celebrate jazz masters and jazz lore. “So What” recalls Miles and Coltrane’s famous mid-performance co-exit, while “Body and Soul” venerates Coleman Hawkins. Prez, Bird, Dex and Horace Silver are all genuflected to. Aptly, Harris closes with Cole’s “Waltz for a Rainy Bebop Evening,” a whirling salute to the jazz life and its giants. 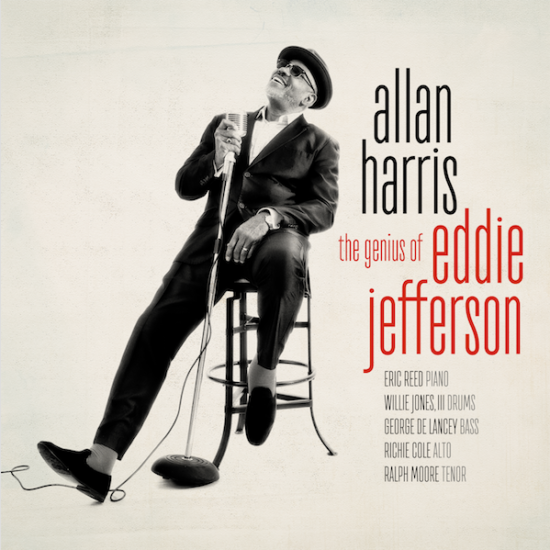 Preview, buy or download songs from The Genius of Eddie Jefferson by Allan Harris on Amazon.